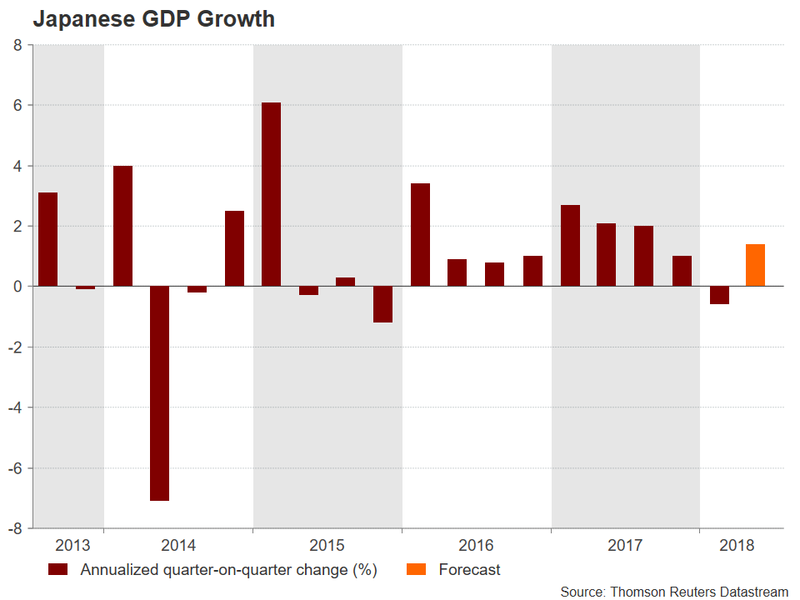 The Japanese economy will be under the spotlight on Friday as Japan’s Cabinet Office publishes data on second-quarter GDP growth at 8:50 local time (Thursday, 23:50 GMT). A negative first quarter had put an end to a stretch of eight consecutive quarters of expansion. However, growth is expected to rebound in the second quarter as business and consumer spending pick up. 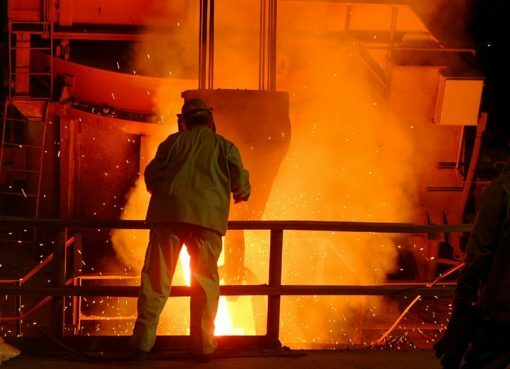 Growth floundered in the first three months of the year as poor winter weather and a spike in food and fuel prices put a dent in household spending, while capital expenditure was also on the weak side. But consumption is expected to have recovered in the second quarter, albeit only modestly, by just 0.2% quarter-on-quarter after falling by 0.1% in the first three months of 2018. Business expenditure, meanwhile, is forecast to have accelerated from 0.3% to 0.6% q/q. Exports, which held up reasonably well in the first quarter, likely continued to make a positive contribution to growth, with net exports projected to have added 0.1% to GDP in the second quarter, unchanged from the prior three months. All these should translate to annualised GDP growth of 1.4% in the June quarter, more than recovering from a 0.6% contraction in the first quarter. On a quarter-on-quarter basis, growth is expected to bounce back by 0.3% after falling by 0.2% in the previous quarter. The yen is unlikely to see a big reaction to the data as the Bank of Japan has pledged to stick to its ultra-loose monetary policy until annual inflation reaches its 2% target. With the BoJ’s targeted inflation measure, the core CPI, still running below 1%, the GDP report is not anticipated to alter the outlook much for monetary policy. However, signs of a strengthening economy in the event of an upside surprise to the GDP data would make the BoJ more comfortable in letting the yield on 10-year Japanese government bonds (JGB) rise farther above 0%. At its last policy meeting on July 30-31, the Bank announced a more flexible yield curve control policy by allowing the 10-year JGB yield to fluctuate in a wider range around its target of 0%. 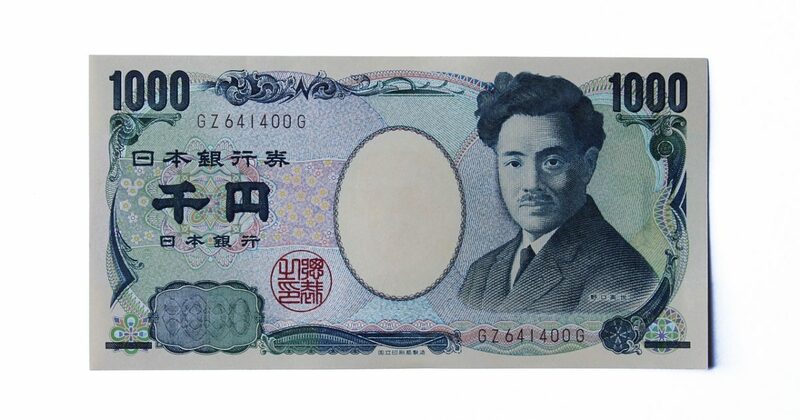 The yen could appreciate versus the dollar on the back of higher JGB yields as was the case in late July when rumours swirled that the BoJ was debating scaling back its asset purchase program. USD/JPY could dip to around 110.30 if it fails to grip onto nearby support around the 110.75 level. 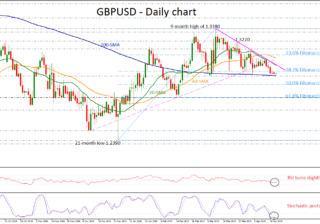 The next support could come around the 200-day moving average just below the 110 level, with sharper losses bringing the 109.35 regions into focus. Alternatively, a weaker-than-expected GDP reading would underscore the view of a prolonged period of monetary stimulus and pressure the yen. 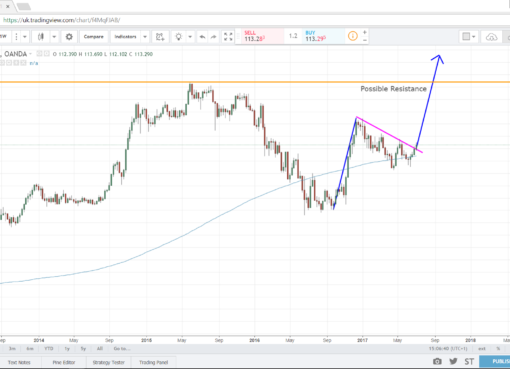 USD/JPY could break past immediate resistance at the 111.20 level, but there could be another hurdle not too far away at 111.50. Clearing these resistance points would bring the 112 handle within range. Reclaiming the 112 level would set the pair on track to beat its August top of 112.14. A break above this peak would put the pair in a stronger position to challenge July’s six-month high of 113.16. 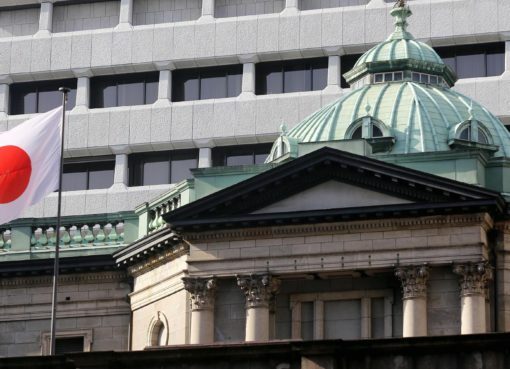 BoJ meeting: A more upbeat tone?